Rachel Ballinger brings us a YouTube video where she makes Halloween Themed drinks just in time for October 31, they are non-alcoholic but I'm sure you can be creative and add your booze to these strange and wonderful concoctions. These themed drinks were all found on Pinterest so, yes, some of the ingredients can be super hard to shop for... you know how Pinterest can be! Now that the kiddies drinks are sorted, let's get to the fun part! ADULT COCKTAILS! In a cocktail shaker without ice, add 2 oz. dark rum, ½ oz. heavy cream, ½ oz. cinnamon syrup, and 1 medium egg white. Dry shake for 30 seconds, then add ice and shake again to chill. Strain into a coupe or fluted glass. Slowly pour 2 oz. sparkling apple juice into the same glass. Sprinkle two pinches of activated charcoal powder and cinnamon on top to garnish. Combine 4 oz. gin, 2 oz. pomegranate juice, and 1 oz. simple syrup in a large shaker. Add ice to the shaker, shake for at least 30 seconds, and serve. 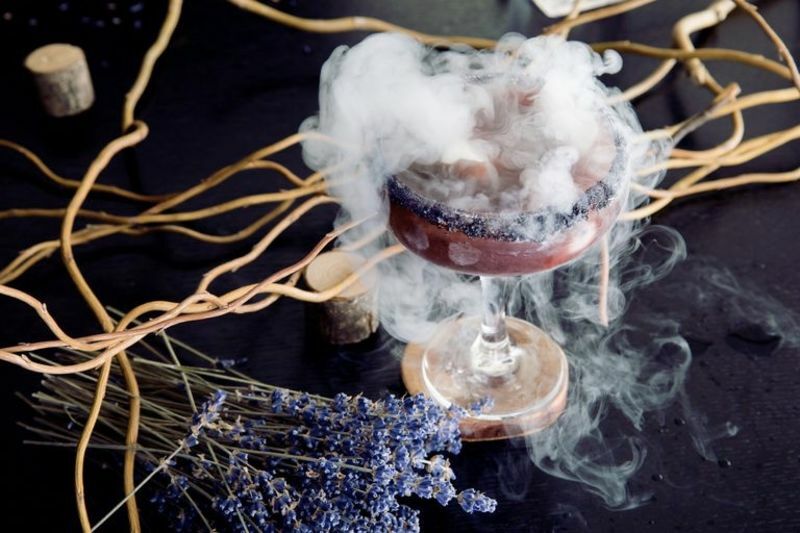 For an added stormy effect, add a small cube of dry ice to each glass. In a mixing glass, add 1½ oz. Absolut, 2 oz. black currant juice, and ½ oz. Chartreuse. Stir ingredients with ice, and strain into a chilled martini glass.